"Old 300" redirects here. For the Spartans, see 300 Spartans. For other uses, see 300 (disambiguation). The Old Three Hundred were the 297 grantees, made up of families and some partnerships of unmarried men, who purchased 307 parcels of land from Stephen Fuller Austin and established a colony that encompassed an area that ran from the Gulf of Mexico on the south, to near present-day Jones Creek, Brazoria county Texas, Brenham in Washington County, Texas, Navasota in Grimes County, and La Grange in Fayette County. Moses Austin was the original empresario of the Old Three Hundred and was succeeded by his son, Stephen F. Austin, after his untimely death. Stephen Austin agreed to implement his father's plan, and in the end of the summer of 1821 he and a small group of settlers crossed into Texas. Before he arrived in San Antonio to meet with the governor, they learned that Mexico had earned its independence from Spain, making Texas a Mexican province rather than a Spanish province. Governor Martinez assured him, however, that the new Mexican government would honor the colonization contract. Stephen returned to Louisiana to recruit settlers. He offered land at 12.5 cents per acre, only 10% of what comparable acreage sold for in the United States. Settlers would pay no customs duties for seven years and would not be subject to taxation for ten years. In return, they would be expected to become Mexican citizens. In March 1822, Austin learned that the new Mexican government had not ratified his father's land grant with Spain. He was forced to travel to Mexico City, 1,200 miles (1,931 km) away, to get permission for his colony. The 1823 Imperial Colonization Law of Mexico allowed an empresario to receive a land grant within the Mexican province of Texas. The empresario and a commissioner appointed by the governor would be authorized the distribute land to settlers and issue them titles in the name of the Mexican government. Only one contract was ultimately approved under this legislation, the first contract granted to Stephen F. Austin. Between 1824 and 1828, Austin granted 297 titles under this contract. Each head of household received a minimum of 177 acres or 4,428 acres depending on whether they intended to farm or raise livestock. The grant could be increased for large families or those wishing to establish a new industry, but the lands would be forfeited if they were not cultivated within two years. The settlers who received their titles under Stephen's first contract were known as the Old Three Hundred, and they made up the first organized, approved influx of Anglo-American immigrants to Texas. The new titles were located in an area where no Spanish or Mexican settlements had existed, covering the land between the Brazos River and the Colorado River from the Gulf Coast to the San Antonio Road. 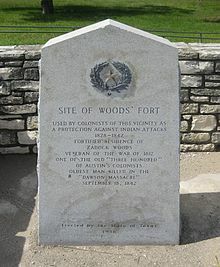 The capital of this new colony was San Felipe de Austin, now the town of San Felipe in Austin County. When Austin began advertising his colony, he received a great deal of interest. He was able to be selective in his choice of colonists, which enabled his colony to be different from most others of the time. Austin chose settlers based on whether he believed they would be appropriately industrious. Overall, they belonged to a higher economic scale than most immigrants, and all brought some property with them. One-quarter of the families brought slaves with them. All but four of the men could read and write. This relatively high level of literacy had a great impact on the future of the colony. According to historian William C. Davis, because they were literate, the colonists "absorbed and spread the knowledge and news always essential to uniting people to a common purpose". Despite a provision in Mexican law requiring immigrants to be Catholic, most of Austin's settlers were Protestant. Many chafed at being ruled by Catholics. Most held strong feelings about property ownership and their personal liberty. Thomas Marshall Duke 1785 24 May, 1867 Married 3 times. 3rd wife, Jane Mason Wilkins McCormick Duke. 6 children; Mary Francis, Charlotte Jane, Thomoas Marshall, Jr., John Marshall, Stephen Austin, Alice Imogin Died, Hynes Bay, Refugio County, Texas during the yellow fever epidemic of 1867-Certified by Witnesses: Wm. Andrews, G. Seelingson, F. Hunt. Source: Daily Ranchero, September 1, 1867. David Fitzgerald 1832 Widowed with one son and daughter. The plot of land now sits in modern Fort Bend County. Fitzgerald died in 1832 and willed the land to his daughter Sarah. She would later sell the entire property to Johnathan Dawson Waters. Alexander Hodge 1757 1836 Historical marker erected at Hodge's Bend Cemetery in Fort Bend County (1975), where Alexander Hodge's grave is located. Johnson Calhoun Hunter May 22, 1787 May 29, 1855 Wife: Mary Martha Harbert; Children as of March 1826: Robert Hancock Hunter, John Calhoun Hunter, Harriet Harbert Hunter, Thomas Jefferson Hunter, Thaddeus Warsaw Hunter, Messina Hunter, Martha Hunter Education: Dr. Johnson Hunter, earned a Medical Diploma around 1805. Dr. Johnson & Martha raised 10 children, four girls and six boys. He received a title to a sitio (roughly 4600 acres where La Porte and Morgan's Point, TX are now located) of land from the Mexican government in 1824. In 1826, he sold Hunter's Point (peninsula between Galveston & San Jacinto Bays, now known as Morgans Point and La Porte and relocated to Fort Bend County where he built a home that served as a Richmond area landmark for fifty years, currently Pecan Grove. . In 1855, a five acre tract of land was donated by Dr. Johnson Hunter on the R.H. Hunter survey and was called the Frost Institute. The Institute was organized by Dr. Johnson Hunters' son-in-law. Frost Institute was located approximately six miles north of Richmond. . Dr. Hunter was buried in the family cemetery, known as the Brick Church Graveyard. John Iiams [sic] This may be John Williams. Abner Kuykendall 1777 1834 Brother of Robert and Joseph, father of Barzillia. Commanded the militia of Austin's colony, murdered by Joseph Clayton. John H. Moore Aug. 13, 1800 Dec. 02, 1880 Single Indian fighter, builder of Moore's Fort, and leader at the Battle of Gonzales. Married Eliza Cummins, daughter of Jack Cummins listed above. Joseph Newman c. 1787 1831 Wife Rachel Rabb, 10 children Brother in-law to John Rabb and Thomas J. Rabb, he ranched and farmed a sitio near Bonus. Texas Historical Marker for Andrew Robinson Sr.
William Selkirk 1792 1830 2 children Helped found Matagorda and served as militia captain. Elias R. Wightman 1792 1841 Married Mary Sherwood Wightman in 1828 Helped found Matagorda and surveyed Austin's colony. ^ Christopher Long, "OLD THREE HUNDRED," Handbook of Texas Online , accessed March 27, 2012. ^ Edmondson (2000), p. 60. ^ Edmondson (2000), p. 61. ^ Edmondson (2000), p. 63. ^ a b Greaser (1999), p. xviii. ^ Cantrell (2000), p. 419. ^ Hatch (1999), p. 136. ^ Greaser (1999), p. ix. ^ Davis (2006), p. 60. ^ Bugbee, Lester G..org/publicatshq/online/v001/n2/article_7.html THE OLD THREE HUNDRED. A LIST OF SETTLERS IN AUSTIN'S FIRST COLONY ], Volume 001, Number 2, Southwestern Historical Quarterly Online, Page 108–117. Accessed 2008-04-14. ^ "Ancestry® | Genealogy, Family Trees & Family History Records". ancestry.com. Retrieved 2016-04-17. ^ "GEORGE, FREEMAN," Handbook of Texas Online , accessed June 07, 2012. Published by the Texas State Historical Association. ^ "PHILIPS, ZENO," Handbook of Texas Online (https://tshaonline.org/handbook/online/articles/fph05), accessed October 02, 2012. Published by the Texas State Historical Association. ^ "PRYOR, WILLIAM," Handbook of Texas Online , accessed January 8, 2014. Published by the Texas State Historical Association. ^ a b Paul N. Spellman, "WOODS, ZADOCK," Handbook of Texas Online , accessed June 16, 2012. Published by the Texas State Historical Association. ^ Original papers Regarding Zadock Woodsand His Sons: Norman Woods; Henry Gonzalvo Woods; Montraville Woods; Leander Woods compiled by Robert Forsyth Little, IV and Marianne Elizabeth Hall Little OCLC Number: 310362910 in Historical Manuscript collection, University of Texas at Austin Library. A map of Austin Colony grants in Brazoria County, Texas <--Dead link, April 2016. This page was last edited on 11 February 2019, at 02:57 (UTC).